Through the years people have asked me which university I attended, and I used to say in a rather pompous way, ‘Oh, I was educated in the varsity of life,’ as if there was something special about that. We are, indeed, all educated in the university of life, and we learn from our experiences and the experiences of others. 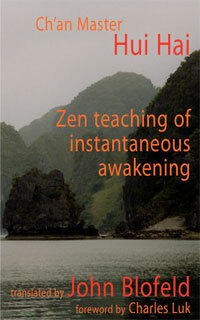 In the early days when Buddhists met [in the 60s], there wasn’t a ‘uniformed’ sangha; we virtually had to teach ourselves. We learned an awful lot from each other’s experiences and the way others tackled their daily problems in the light of the teaching of the Buddha. Someone once said that experience is that thing which we acquire when we no longer need it. That’s a lot of nonsense, of course, because we do need our experiences, right up to our deathbeds. And we were told as kids, ‘Never let a day go by without learning something today!’ But we are learning all the time. Every minute of every day of every year we have experiences, and it is from those experiences that we learn. We can read things in books and think, ‘Yes, that makes sense!’ Unless you actually have that experience, however, it is really blind faith. To give an example, I can put my hand in my pocket, bring out a clenched fist and say, ‘In my hand I have a coin.’ Now, you don’t actually know. It could be a coin, but it could be a nail, or a toothpick, or something else. Nevertheless, you might think, ‘Well, he’s a reasonably honest sort of bloke. If he says he has a coin in his hand, I’ll accept that!’ But that would be blind faith; that would be belief. If I open my hand and show you the coin, however, then belief goes out the window because it is no longer necessary; you can see for yourself. This coin is, to me, a highly important one. In fact, if this had not been struck I would not be here this evening. I hope you won’t hold that against it, but I will come to that later when all will be revealed. Some experiences could be interpreted, as I used to, as moments of truth. My commencement in search of a religious path was started for me at the age of four. My sister, who is five years older than me, and I were directed to a Sunday School. We lived at Manor Park which is the East End of London, and there was a Methodist church nearby; we were taken there. I wasn’t keen to go because being four I knew that in a year’s time I would have to attend school, and I didn’t really want to do that; I preferred the idea of playing in the garden. So the thought of going a year earlier on a Sunday seemed a terrible thing. But Hilda and I were carted along. And I thoroughly enjoyed it! I thought it was absolutely marvellous. I loved the hymn singing and the whole idea of Jesus and Christianity. About nine months later my father sold the house in which we lived and found another one in Essex, approximately three miles down the road. This was going to be quite an adventure for me—a new life in a new home. Our old house had gas lighting, and my dad used to light it with a match—woomph! it went; a lovely sound. One of the biggest novelties of this new house, however, was that I could just pull down a switch and the lights would come on. Anyway, one day I said to mother, ‘I won’t be able to go to Sunday school now.’ She said, ‘Oh yes you will. There’s a Methodist church just round the corner.’ So I started attending there, and I loved that too. About 140 children attended it, and the superintendent decided that the Sunday School should be split so that there was one session in the morning and another one in the afternoon. I, believe it or not, went to both. A few years later I went to the evening service, and that was followed by a Bible class. If ever a Sunday came when the family was going out for the day and I couldn’t go to Sunday School, that was a black Sunday for me! At a very early age I was given to fantasising. At about six I was told that I would be dead at seventy—three score years and ten—which is rather a frightening thought because if I live until this coming November  that will be my lot! That was the way I started off on this line, and it rather directed me onto a course of being a decent fellow, I suppose, a good boy. I hasten to add I was not a goody-goody; it was more that I was thoughtful of other people, I think, because I had this idea. The years passed, and when I was about sixteen plus, the country decided to go to war with Germany. I determined to get into the armed forces; in fact, couldn’t get in there quick enough—not because I was particularly war-like, but people were threatening my country and my folks. So I duly volunteered for flying duties—one had to volunteer because no one was actually conscripted into the Air Force for flying duties. I did this and was eventually given the rank of Aircraftsman Second Class. I was sent to a grading school up near Hull, and we were each given just twelve hours’ instruction on Tiger Moths, little training biplanes. It was determined during this twelve hours whether a fellow was a natural or not, and whether he could be taught to fly in the required length of time. I was pretty hopeless and thought, ‘If I’m a natural, I’m a very late-starting natural!’ The first thing we were taught was to go through what were called Vital Actions. For example, there were five things we had to check before attempting to take an aircraft off the ground. We took the initial letters—TMPFF—as a way of remembering these checks: T was for throttle-nut; M was for the petrol mixture; P was for propeller; F was for fuel; and the final F was for flaps. These were absolutely vital checks that we had to make. Once I overlooked one of them and that nearly cost me my life. I looked at my altimeter; it read 1,200 feet, ‘Ah,’ I thought, ‘the plane is lighter because I’m alone up here—I’m alone up here! And I looked at the empty cockpit in front of me . . . !’ Because of my Christian upbringing my immediate thought was to pray to God to get me down. In that sixteenth of a second, however, I realised I could pray till I was hoarse, I could pray to all the gods in heaven and in hell and everywhere, but there was only one person that could get me down, and that was me. I reduced the height to 1,000 feet, did everything per the book, came in and made an absolutely perfect landing. As the wheels rolled along the airfield, I thought, ‘Adolph Hitler, you’re in real trouble now!’ The instructor came over, patted me on the back, got into the front cockpit, and flew me back to base. This episode made me realise that I have to depend on myself in life; I cannot rely on other people to help me. The war proceeded, and I came back to England and joined a squadron. I was back at the grading school near Hull one day, outside the crew hut with the other pupils; we were waiting for our instructors to come along when we saw a Spitfire flying round the drome. We absolutely worshipped the Spitfire and, strangely enough, it is still a plane that is worshipped even today. The pilot made a super landing, taxied over to Flying Control, switched off, got out, took off the helmet, and out fell blond hair right down to the shoulders. She was about twenty-four, I suppose. I thought, ‘A woman flying a Spitfire!’ I didn’t realise that women could do that sort of thing. Then I ran over to the plane and jumped onto the wing to look at the instrument panel. In the Tiger Moth we had about three little clocks and a throttle which was more like a knitting needle, and that was as much as I could handle. There were, I discovered later, 120 clocks on the Spitfire—levers, switches and goodness only knows what. I sat looking at that lot and thought, ‘Never in a hundred years will I be able to fly one of these things.’ I didn’t recall that occasion until about a year later while I was actually flying a Spitfire over the North Sea. I flashed my eyes over all these clocks and things, and I suddenly remembered that occasion. It made me realise that we cannot climb a mountain in one step. The first chap to swim the English Channel didn’t go down to Folkestone one day, jump in the sea and swim across. You have to do things step by step. If you persevere and practise one step at a time, you can make it. When I finally got onto a Spitfire Squadron I used to take my Spitfire up on days when there was nothing special to do, even if it was a dull day. In fact, it may have been thick with clouds, maybe raining, but still I would climb up through great banks of cloud and come out on top where there would be this blue sky and the sun shining; it was like a wilderness of cotton wool. I used to flit about, playing hide and seek with myself; it was pure heaven, another world. But when I put the nose down and flew back through the clouds into the pouring rain, I realised that that was a fantasy world up there; it was just a fairy land. The real life was down here on earth with the rain pouring down and the miserable faces. What I am trying to say is that we do learn from our experiences and we would be well advised to learn from them. My map reading wasn’t too clever. I used to take potluck. On one occasion I had to fly from Chester down to Kent. I didn’t bother with the map and thought, ‘Well, it’s roughly southeast.’ I climbed up above the cloud and flew all the way. I was always very lucky, but I remember thinking on that occasion that one day my luck would run out. I put the nose down—I’d roughly worked out my time of arrival—went right through this cloud and came out on the end of Southend pier. I was going to Eastchurch, so I just flew the short distance across. Then a marvellous thing happened. It was early in 1956. I had a business in the City and, having worked later than usual one day, I missed my normal train home. There I was at Waterloo Station with about half an hour to wait, and so I started looking at Smith’s Bookstall. I found a book on collecting coins and bought it. I had always been a collector of various things—in fact, Joan [my wife] used to refer to me as a recycled magpie or a born again squirrel—but I had never got around to collecting coins. So after buying this little book I started collecting coins. One day I received a dealer’s catalogue in which was an article which caught my eye. The government of Ceylon was producing two special coins—a one-rupee piece, which Joan now wears as a necklace, and this five-rupee piece. These, apparently, were being struck to commemorate the 2,500th anniversary of Buddha. I thought, ‘Buddha! What the dickens is Buddha?’ In fact, I thought Buddha was a lump of brass you stuck on the piano for good luck, or something like a talisman. But it made me think, ‘2,500 years! Surely, this religion hasn’t been going on for 2,500 years!’ And it occurred to me that there must be something in it if it had been going for that long, something worth looking at. As it happened, I was facing a very busy day at the office that day because it was the last day of my financial year. Still, I had to find out about this Buddhism business. ‘There must be a Buddhist club or association somewhere in London,’ I thought. And looking in the telephone directory, came across The Buddhist Society in Eccleston Square. I rang them up and shortly afterwards got the tube train to Victoria Station from Tower Hill, walked round the back of Victoria Station and found Eccleston Square, and The Buddhist Society. As I walked in, I could feel an air of mysterious solemnity about the place; it was something special, and there was the smell of incense. I was duly shown around. The shrine room upstairs appealed to me tremendously; I could almost feel something in there. And I had a quick look through the books in the library. 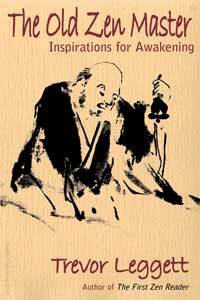 I remember seeing this book called The Light of Asia, and I asked myself, ‘Is this the light I’ve been looking for? Did it originate in Asia?’ I asked the chap there to recommend a book for beginners and he suggested The Buddha and His Path to Self-Enlightenment, by R. Fussell. And he said, ‘You’d better take one of these;’ it was a Dhammapada. mind is chief and they are mind made. then pain follows one even as the wheel the hoof of the draught-ox. then happiness follows one even as one’s shadow that never leaves. yet he, indeed, is the noblest victor who would conquer himself. Even though I was very busy that day, I don’t think I did a stroke of work; I just sat and read my book. And I kept saying to myself, ‘This is brilliant stuff.’ It felt almost as if it had been written specially for me; I just couldn’t believe it. That was really my start on the Buddhist path. I went at Buddhism like a bull at a gate. I am the sort of person who thinks that if they get all the gear, they are already there. But really that is when it starts. I had become a qualified pilot, but it wasn’t until I got back to England with my wings up and all the rest of it, that I really started to learn to fly. The same with driving. We pass the test and think we are qualified drivers, but we’re not. It is only then that we really start to learn how to drive. Within the first six months of my coming across Buddhism, I had bought about two dozen Buddha-rupas, Kwan-yins, joss sticks, and enough books to open a library that would rival the one at Eccleston Square. Then I realised that there was more to it than that. I had to do something as well. 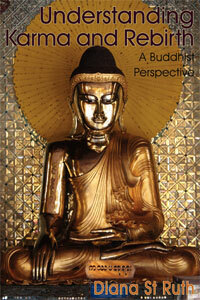 I looked into the various schools of Buddhism and it reminded me rather of going into a large departmental store. I went in on the ground floor and there was Theravada. After taking a good look around, I saw a little sign on the stairs: Mahayana Upstairs First Floor. So, up I went and had a look at the Mahayana. And then I saw another little sign: Tibetan. Up I went to the next floor—this was all in my mind, of course,—and looked around there. Then I went up to the roof and found Zen. And I thought, ‘Oh, I don’t know . . . !’ and came wandering back down to the ground floor and realised that it was all there; there was no need for me to go charging up the stairs. I started to meet other Buddhists. But whenever I asked them whether they were Buddhists, I seldom got an answer in the affirmative. They would invariably say, ‘No, but I’m trying to be one.’ And I thought, ‘Well, perhaps I’d better start trying.’ I got the impression they were saying that it is easy to be a good Buddhist when things are going well. Things were going well for me at that time; everything seemed to be right. And on enquiring further why they were trying to become Buddhists, the reason was often given that they had been in some kind of depression, had groped for something, and had found the teaching of the Buddha. Many things impressed me about the Buddha. He didn’t say he was God or some supernatural person; neither did he say he invented the path. In fact, he said it was like walking through a jungle—the ground littered with weeds and branches—and simply moving his foot from left to right. This cleared away the rubbish and he was able to see the pathway underneath; a pathway that had always been there. By clearing the rubbish, I suppose he meant mental rubbish; he cleared his mind. This description reminded me of a lovely, still pond into which you could look and see down to the bottom. If a stupid thought comes into your mind, drops into the pond, as it were, you get all the ripples. The water is disturbed and you can no longer see what is there. And I thought, ‘Yes, the mind is full of rubbish, junk.’ So I tried to clear it with meditation. On the whole, though, I think I became just an armchair Buddhist; just someone engaging in mind exercises. I met more Buddhists, and we started going to summer schools at High Leigh in Hoddesdon, Hertfordshire. They were really wonderful events. We were all together; we all had similar thoughts; we helped each other by discussing our problems and asking for other people’s interpretations of the teaching. But, as with the flying, I needed a jolt; I needed to be nudged by the instructor who said, ‘This is serious! If you don’t get down to this, you’re out; you’ll be back home in England and you’ll be a failed pilot under training.’ My jolt came in March of last year . I was working in a little room in my bungalow, my office, and I got a splitting headache. It was so bad and I felt so ill that I felt I didn’t want to live any more. The fact is I was having a cerebral haemorrhage. It was later discovered that I had three aneurysms—two on one side of my head and one on the other—and one had blown. Buddhism helped me a lot while I was in the hospital, just with mindfulness. But while I was trying to get through this operation—also another one in the following October to have the other side done—all kinds of thoughts came into my mind. I remembered being a Scout Master after the war. I had three dozen boys from the age of ten to sixteen in my charge, and I used to take them camping. On one particular occasion in Germany— there was a lovely blue sky and the birds were singing—I had hired a coach and driver to take us to Cologne and some other places. One of these little lads came up to me and said, ‘Skip (for Skipper), where are we going tomorrow?’ I said, ‘Kenny, don’t think about tomorrow. While you’re thinking about tomorrow, you are missing the beauty of today.’ That night in my tent, I suddenly sat up in my sleeping bag and thought, ‘It’s a point. Ordinarily I spend about 45% of my time thinking about the past—wishing I’d done this or taken that turning, wishing I hadn’t said this, and so on—and I spend about 45% of my time thinking about the future—What will things be like in twenty years’ time? Will I have enough money for my old age?’ Finally, it occurred to me that I was spending only 10% of my time thinking about the real thing—the past is over and done with, the future is but a dream, but this is real; in this very moment we are here. And I thought, ‘If I live in the moment, everything will become beautiful. No matter what menial task I am doing can be a beautiful activity because I will be really living in the moment.’ It was this little lad that had really brought this home to me when he asked what we were going to do the following day. Another memory which came to mind while I was in hospital was of a Ministry of Transport campaign to try and improve road safety. It had been many years before, and they had put up these big posters with messages like: Better to arrive late than ‘the late’! None of them impressed me very much, but one day I was at some traffic lights waiting for them to turn to green when I looked up and saw a huge poster which read: Could you be a better driver? I thought, ‘Yes! I could be a better driver.’ These things came into my mind during those stints in hospital. When I was returning to England in a Spitfire one day during the war, I wanted to get into Manston in Kent. As soon as I hit the Kent coast, I ran into a ginormous blanket of fog, and it was also getting dark. In fact, the whole of Kent seemed to be engulfed in thick fog. We were well-trained pilots and I think we did quite well, but there was one thing we couldn’t do, and that was to land in fog. This had been mentioned to the backroom boys, the boffins, and they had been asked to come up with a solution. And one brilliant fellow did. He invented something we called FIDO: Fog Intensive Dispersal Of. On the sides of the runway they fitted burners about every ten feet which contained paraffin, and they were ignited by electricity, by the push of a button. The flames would come up and the heat would lift the fog. I had only heard about this. It was also very expensive to run, about £380 a minute, so they never it switched on unless the pilot requested it. On this particular occasion, I got Manston on the radio and said, ‘I’m in thick fog. I haven’t the faintest idea where you are. But I’ve got to get into Manston because my petrol is getting low.’ The chap the other end picked me up by radar and plotted my position. First he told me to reduce to 1,000 feet, which I did, and then to 500 feet. Then I put my wheels down and he said, ‘We’ve got the flare path on and the runway is right in front of you. You can just land.’ But I couldn’t see a thing and I said, ‘I’m not going to land on nothing.’ So I opened up the throttle and went round again. He directed me a second time. I came in on the approach—according to him—and the same again; I just couldn’t see anything and there was no way I was going to land under those conditions. I believed him when he said he could see me, but that wasn’t good enough. By the third time I came round my petrol was getting desperately low and I knew that I would just have to take his word for it—blind faith—and land. I was coming in on the approach and he said, ‘Come down to 400 feet,’ and I suddenly remembered that Manston had FIDO, so I shouted out ‘FIDO! Switch on FIDO!’ And suddenly these burners lit up. It looked just like Dante’s Inferno—a sea of fire down this runway. The fog immediately lifted; I could see the runway and landed perfectly. It was wonderful to feel those wheels running on the ground. There is a difference between knowing and believing, between accepting what people say and trying it for yourself—this is what experience is all about. I think there can be only one truth. And that one truth is at the top of the mountain. There are several paths up, but I chose the Buddhist path. from a talk given at the 1993 BPG summer school in Leicester. I miss your humour and your clarity. As you were in the RAF may you be reborn as a fly on a bhikkhu’s robe! My dad is a john peaty. And my grandfather – John Herbert peaty. he died fighting in WWII- nov 30 1944 in Italy, a trooper in the 56th recce reg…..I’m from loughborough, leicestershire and have been told I have living family from my grandfather side in normanton on soar. I am 32 and have been living in the states since I was 18. I go back to visit my family but I am always tickled pink when I know there are other peatys back home!! I have heard from your Father, we are looking into maybe being related! What a wonderful insight this man gives of himself. Is there more available for us to enjoy? Thank you for presenting it. 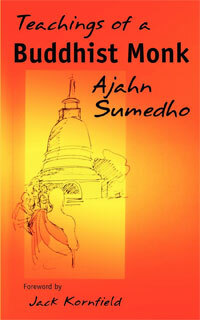 Any other talks Buddhism Now might have would be most welcome! You covered so much John, and remind me of my own path, except perhaps I need to do the vital checks. I guess from the dates we are very lucky if we still have you with us? I must say I was certainly with you, and now you are with me. Cheers! John died in June 2011. I found out this very day,that John was a relative of mine. I am trying to complete my family Peaty tree and in doing so, came across his absorbing and very informative piece of writing. My name is also John, and my father,John Herbert Peaty,1914/1944,was killed when I was just 16months old,never was able to see me. also, I never knew my grandparents, so it is very important the my four children and nine grandchildren do not miss this vital link with the past. All I have of my father are two photographs, so that if any of Jonh’s family or close relatives have any information, I would be truly grateful. John’s article left me with much food for thought, and I know that from what I read on the internet today,that my daughter, Laura,who works as an entomologist in America saw John’s piece, but unfortunately she was too late to make contact. P.S.A coincidence that the day John died was my wife Jenny’s 69th birthday.